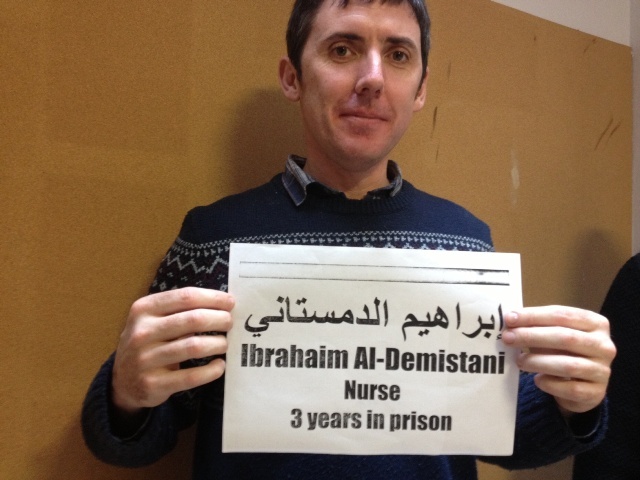 Blacklisted construction workers and their union leaders are the latest to show solidarity with Bahraini healthworkers imprisoned in the clampdown after the 2011 uprising. 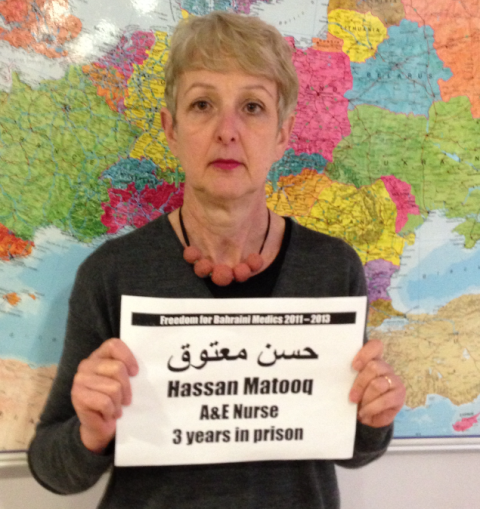 At the Blacklist Support Group AGM on 23 March, union activists took time out from discussions of their own campaign against vicitimisations and sackings by multinational construction companies to send a message of solidarity to nurses, doctors and pharmacists in Bahrain who have endured torture and long jail terms. Union leaders Gail Cartmail of Unite the Union and Paul Kenny of the GMB also backed the protest for the Bahraini healthworkers. Unite and the GMB organise hundreds of thousands of workers across the health and social care sector in the UK.